Protect you car and your watersports equipment from chips and scratches with this pair of 1 metre/ 39" or 0.5 meter long Gul roof rack pads. Gul branding gives the classic surf look to your vehicle. Size: Each set includes 2 roof rack pads of 50cm or 100cm long. The Gul 100cm Roof Rack Pads offer quality protection for transporting a Kayak, Surfboard, SUP etc on top of an existing roof rack. This pair of Gul Roof Rack Pads is BLACK with the Gul logo and velcro fastening. Gul products are known for quality, innovation and perfomance. 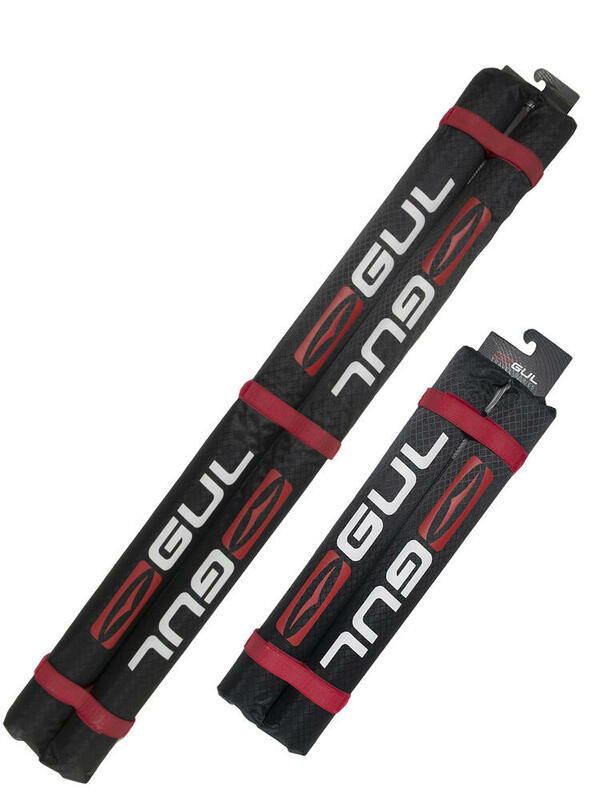 For over 40 years Gul have been at the forefront of watersports and continue to develop new and exciting products for you!